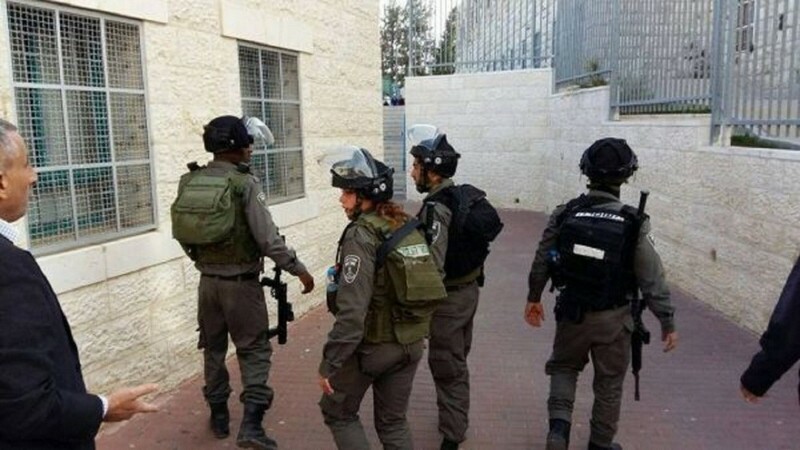 Hebron, ALRAY - Israel occupation forces (IOF) stormed into Ziad Jabber school in Hebron, arrested a 10- year- old Palestinian child inside his class and beat the vice principal, guidance counselor and school janitor. A wide spread footage showed IOF breaking into the school and arresting the child from his class, and took him into military post by force. Later, he was subsequently released. Ziad Jabber school located in Jabber neighborhood adjacent to the Ibrahimi Mosque in Hebron, south of the West Bank, was under control of Israel occupation.